In a time where we constantly see Disney raising prices of resort stays, dining, tickets, and more it is a Christmas miracle that we found out today the cost of Memory Maker purchased in advance will drop $20! If you have already purchased memory maker you should be receiving a store credit. If it is part of your vacation package you will get the new price and a store credit! If you are a client of mine, you can rest assured I am working to get your price adjusted. Memory maker is now available for $149.99! 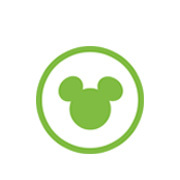 This great addition to your vacation allows you unlimited downloads of all your photopass photos! These can include ride photos, magic shots, character meet and greet photos, family portraits and more! It is a wonderful value! Stay tuned for more info as we find it out! This entry was posted in Deals and Discounts, Discounts, News, Planning Tips and tagged Memory maker, price drop. Bookmark the permalink. ← Fastpass Plus-A guide for beginners and beyond!